Spring and Autumn are the main wedding fair seasons. 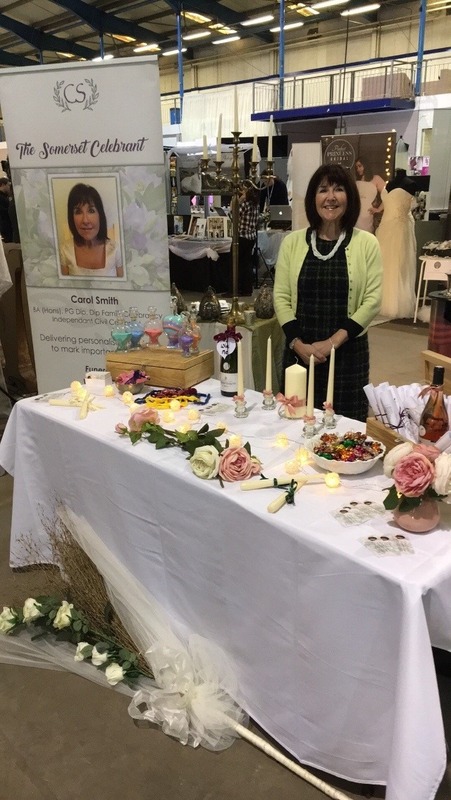 As a wedding celebrant, I like the excitement of spring wedding fairs, which is when I like to exhibit. In Spring, couples getting married later in the year have got their Christmas and the New Year celebrations out of the way, and now have the time to focus on their wedding, their ‘wedmin’, as they realise that its actually happening this year!! Also, Christmas and New Year is a romantic time for wedding proposals, and newly engaged couples often attend spring wedding fairs for ideas and inspiration to help them decide on the kind of wedding they want. Wedding fairs are good places to see a wide selection of different exhibitors, to meet them face to face, talk, network and get excited for your wedding. 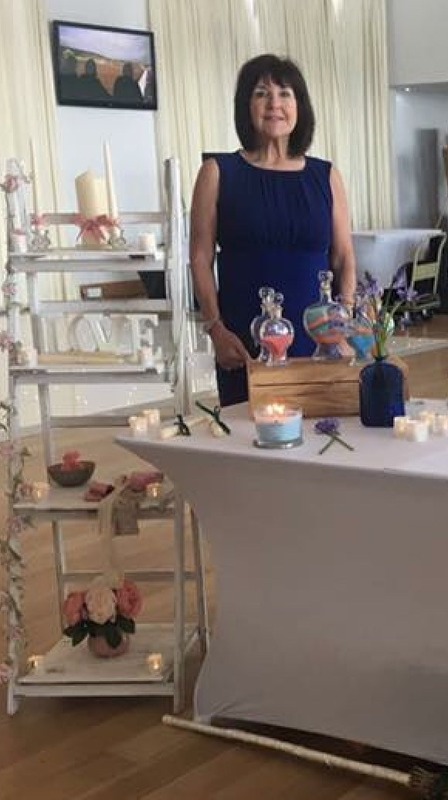 As a wedding celebrant, I often get asked to exhibit at wedding fairs, but I have to choose which ones I exhibit at carefully, as couples that tend to choose a celebrant–led wedding often are looking ‘outside the box’, for their special day. I’m very excited to have been invited by Hannah to exhibit at a very small and intimate open evening at Bridal Reloved in Street. I’m honoured at being asked, and excited, because all the exhibitors are local, many from Street itself, and they are all extremely talented and lovely people, offering an extremely high level of professionalism and service. As with most wedding fairs, the first ten brides to arrive will be given a wonderful goodie bag. As this event is small, I imagine that there will be a lovely gift from all the suppliers in them. I gave my gift a lot of thought. 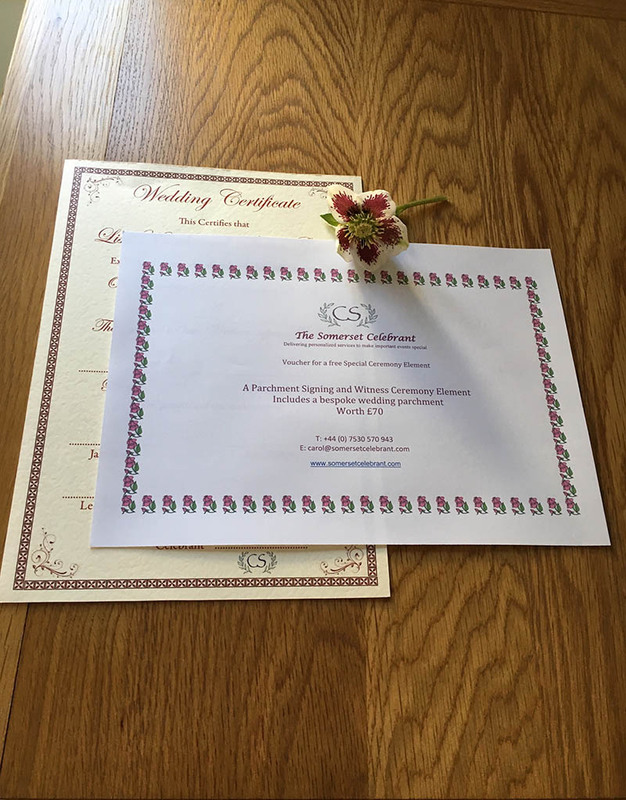 I asked myself, ‘If I was having The Somerset Celebrant lead my wedding ceremony, what would be a lovely gift from her?’ I decided that a bespoke wedding parchment and ceremony element would be the nicest thing to receive, for many reasons, as you will see. Personalising your wedding ceremony – choosing to have a wedding celebrant lead your wedding ceremony enables you to have a ceremony that reflects who you are as a couple. Adding special elements like a parchment signing, ensures your wedding ceremony is unique, personal and memorable. Involving others – a wedding parchment signing is a wonderful way of honouring special people at your wedding. Two brides whose fathers were giving them away wanted to include their mothers in their ceremony, and, as a wonderful surprise invited them to join with them in the signing, and to bear witness to their ceremony. Couples whose marriage means the blending of a new family, can involve their children in their wedding ceremony, through the signing of a parchment. Adding a traditional element – often a couple choose to have a parchment signing in order to please their more traditional guests, and maybe some older family members, who expect to see the signing of a register at a wedding ceremony. A great photo opportunity – the signing of a parchment makes for wonderful photos and can involve your guests, as they can all be invited to gather round to watch the signing, witness the moment, and take lots of great snaps. A time for a tune – the parchment signing ceremony element is often a time when a particularly meaningful song or piece of music is played. This allows everyone to take a few moments within your wedding ceremony to have some quiet time, and maybe to wish you good thoughts for your future life together. It can also be a time for family and friends to remember, or to think about, their own wedding day. For me, watching two of my children sign their parchments made me reflect on their childhood and wonder where the years had gone! A beautiful keepsake – each wedding parchment is bespoke and designed especially for you. It shows your names, the date and place of your wedding ceremony, and the names of your chosen witnesses and of course, the wedding celebrant – yours truly!! So, I hope you agree, a parchment signing element is a great goodie bag gift for wedding couples.